Anyone who knows me well enough knows I love mobile devices. Phones, tablets and other shiny glowing gadgets are almost an addiction for me. I've talked about my addiction in other articles and columns, and Kyle Rankin even made fun of me once in a Point/Counterpoint column because my household has a bunch of iOS devices in it. Well, I was fortunate enough to add an Android device to the mix recently—a Nexus 7 tablet. I actually won this device at the Southern California Linux Expo as part of the Rackspace Break/Fix Contest, but that's a different story. 7" screen with 1280x800 resolution. 7.81" x 4.72" x 0.41" (198.5mm x 120mm x 10.45mm). 16 or 32GB of Flash storage (mine is the 16GB model). Wi-Fi, Bluetooth and optional 3G radios. The Nexus line of Android devices makes up the reference implementation for Android, so that tends to be the series of device that sees the fastest movement in terms of new builds of the OS, and in unique OS derivatives like CyanogenMod. Right about the time I received the Nexus 7, Canonical released the developer beta of Ubuntu Touch, which targeted the Nexus 7 as its deployment platform. Because I can't leave nice things well enough alone, I decided to start trying alternate OS ROMs on my shiny new Nexus 7. Ordinarily, each new OS would require you to reflash the device, losing all your configuration, apps and saved data. However, I found a neat hack called MultiROM that lets you sideload multiple ROMs on your device. How does it work? Well, let's walk through the installation. First, and I can't stress this enough, back up your device. I really, really mean it. Back up your device. You're messing around with lots of low-level stuff when you're installing MultiROM, so you'll want to have copies of your data. Also, one of the first steps is to wipe the device and return it to an "out-of-the-box" configuration, so you'll want your stuff safe. Second, grab copies of the "stock" Nexus 7 ROMs as they shipped from the factory. You will want these in the event something goes wrong, or if you decide you don't like this MultiROM hackery and want to roll your device back to a stock configuration. Third, check the links in the Resources section of this article for up-to-date documentation on MultiROM. It's possible for things to change between this writing and press time, so follow any instructions you see there. Those instructions will supersede anything I type here, as this kind of hack can be a rapidly moving target. Also, do your own homework—lots of great YouTube videos describe this process, and a video sometimes can be worth several thousand words. Notice: please make sure you follow these three steps, then follow the MultiROM documentation exactly. I'm not responsible if your tablet gets bricked or turns itself into SkyNet and goes on a rampage against humanity. Though I have to say, if that happened, it'd be kind of neat, in a geeky sort of way. Your device should be on the latest available factory ROM supported by MultiROM before you begin the installation. At the time of this writing, on my Nexus 7 (Wi-Fi-only) model, that was 4.2.2. 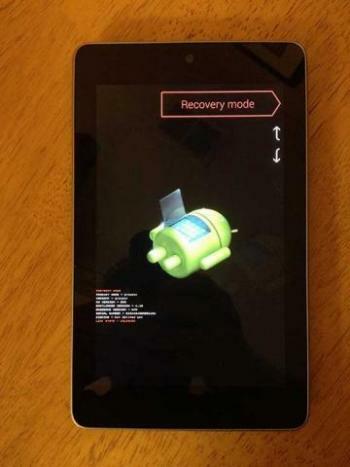 The Nexus 7 comes from the factory with a "locked" bootloader. The first thing you've got to do is unlock the bootloader before you can proceed. To unlock the bootloader, you need the Android SDK tools installed on your computer (see the Resources section for a download link). Specifically, you'll need the fastboot and adb tools for this, so make sure they're on your system and in your shell's PATH environment variable. Next, you'll be prompted to confirm the command and accept that all data on your device will be erased. The tablet then will reboot, winding up in the setup wizard where you'll be prompted for all your setup information as if it were fresh out of the box once more. Now that your bootloader is unlocked, you can proceed to the trickiest part of this process—installing MultiROM. Grab a copy of it from the XDA-Developers MultiROM thread (the link is in the Resources section of this article; currently the filename is multirom_v10_n7-signed.zip). You'll also need to get the modified TWRP install file (TWRP_multirom_n7_20130404.img) and a patched kernel (kernel_kexec_422.zip). 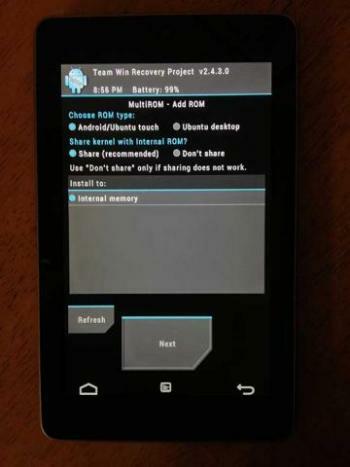 Rename the TWRP install file to recovery.img, then hook your tablet back up to your computer, and place these files in the root of its filesystem (keep the .zip files zipped—don't unzip them). This will bring the device to "Clockwork Recovery" mode. From the Recovery menu on the device, choose "Install zip from sdcard", followed by "choose zip from sdcard", then specify the MultiROM zip file you moved to the root of your tablet's filesystem earlier. When it's done flashing, select "reboot system now", and your Nexus 7 will reboot. Your Nexus 7 now is ready to install alternate ROMs. 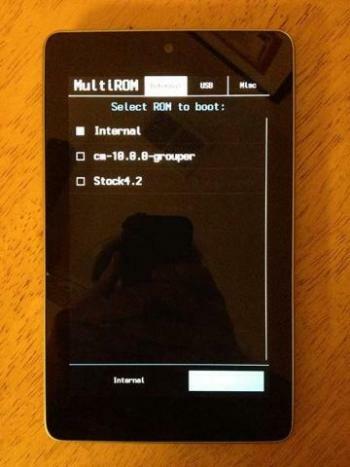 Adding ROMs to MultiROM is fairly straightforward from here. Just hook your tablet up to your computer, drop the .zip file for the ROM you want to install onto the root of the filesystem, and then shut down the tablet. Restart your Nexus 7 in MultiROM by holding the "Volume Down" button while pushing the power switch. 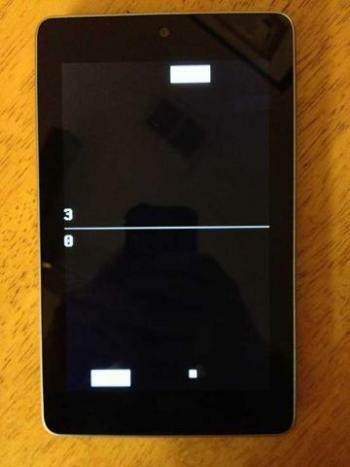 You'll see a screen with what appears to be the Android logo lying on its back (Figure 1). This is the bootloader. Push the "Volume Down" button until the red arrow at the top of the screen indicates "Recovery Mode", then push the Power button. This will boot the Nexus 7 into MultiROM. Ubuntu Touch is something I've been watching closely, particularly because I spent a little time with an Ubuntu Touch-equipped Nexus 7 at the Southern California Linux Expo. 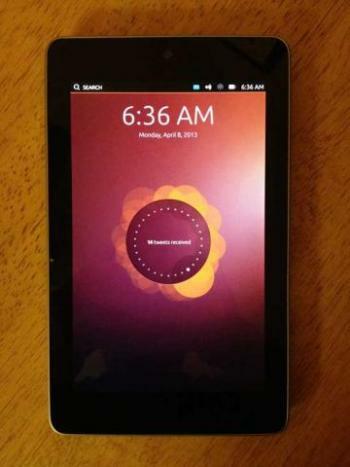 The Ubuntu Touch developer builds can be a little finicky, although they've stabilized in recent weeks. The key to getting them going in MultiROM is to select the "Don't Share" radio button when adding the ROM (Figure 2). The Ubuntu Touch builds come in two parts. Add the smaller hardware-specific zip file first (on my Wi-Fi Nexus 7, it's quantal-preinstalled-armel+grouper.zip), but do not reboot—go back, list the ROM again, then push Flash Zip, and select the larger ROM file (quantal-preinstalled-phablet-armhf.zip). After that completes, you can reboot your tablet into Ubuntu Touch. Be advised, though, that Ubuntu Touch is under very heavy development, and sometimes the daily builds exhibit issues—and may not work at all. Your mileage may vary. If you do get Ubuntu Touch going, but it seems unresponsive to touch, try sliding from the left bezel toward the center. That'll bring up a Unity-style launcher, and things should work from there. It took me a few tries to figure this out. I thought my Ubuntu Touch installation was broken or that I had a bad build. It turns out, it's just a different operating paradigm.